Are you looking for a simple pressure washing system that will let you keep your outdoor furniture and tools clean? 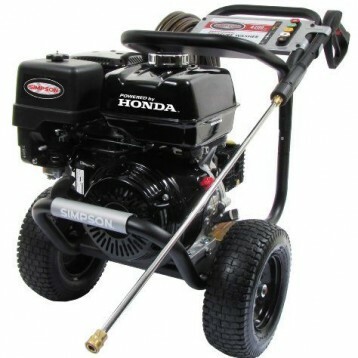 Do you want a pressure washer that is as affordable as it is effective at getting the job done right? The AR Blue Clean AR116 is poised to solve the problems that you might be facing today. With 1450 PSI, this pressure washer isn’t going to help you paint prep, but it will help you get the mold and dirt off of your patio furniture. As an extra bonus, it will do so for about $100 on Amazon right now. What Are the Key Features of the AR Blue Clean AR116? We really enjoyed the user friendly design of the spray wand when checking out this particular pressure washer. 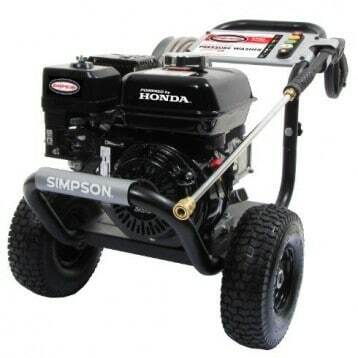 Not only does it have a safety lock present that will prevent the trigger from accidentally engaging when you are moving the pressure washer, but it also comes equipped with exclusive Total Stop technology. When you’re done washing, you won’t get the dripping or low power spray that other pressure washers give you. The AR Blue Clean AR116 is done when you’re done. Here are some of the additional features we noticed when taking a thorough look at this pressure washer for consideration. It offers a reduced level of water use for pressure washing, giving you the rated PSI for just 1.3 gallons of water per minute. 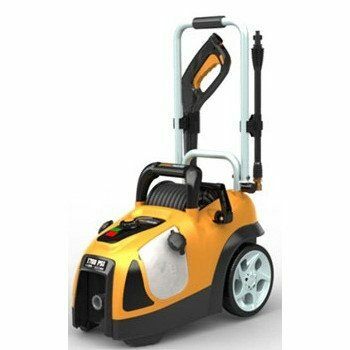 The upright design and ergonomic handle make transporting this portable pressure washer from place to place rather fatigue-free experience. 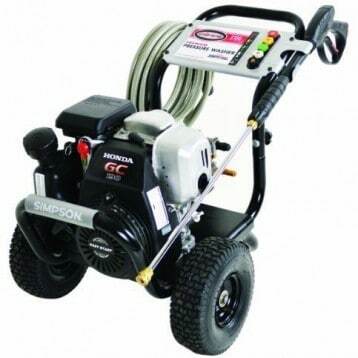 The 3 axial-piston wobble-plate pump allows for a consistent pressure washing experience time after time. The GFCI protected power cord is specifically designed to be plugged in directly. 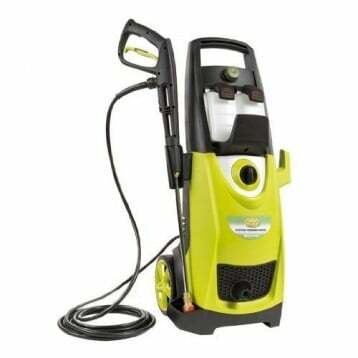 If you use an extension cord with this pressure washer, you run the risk of blowing out a home circuit or ruining the pump or motor because not enough power was provided to the machine. Why Choose the AR Blue Clean AR116 Today? The adjustable nozzle on the spray wand really helps to make this pressure washing system stand out from the rest of the pack. With pencil and fan jet settings, you’ll be able to take care of numerous cleaning chores without worrying about losing separate spray nozzle heads. It’s also super lightweight at just 11.8 pounds, so there’s no issue with transporting the AR Blue Clean AR116. For an electrical pressure washer, it’s a pretty effective system. What would really improve this system would be an on-board detergent tank. You can attach a bottle with cleaner in it for a soaking spray, but that’s about it. This limits some of the overall functionality that some users might be wanting. From an overall perspective, this pressure washer has a good set of features that will give you the advantage of being able to keep a clean home and property. 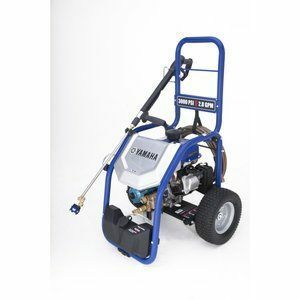 If you’re looking for a highly affordable first pressure washer for light duty needs, then we highly recommend this one for what it is able to do. 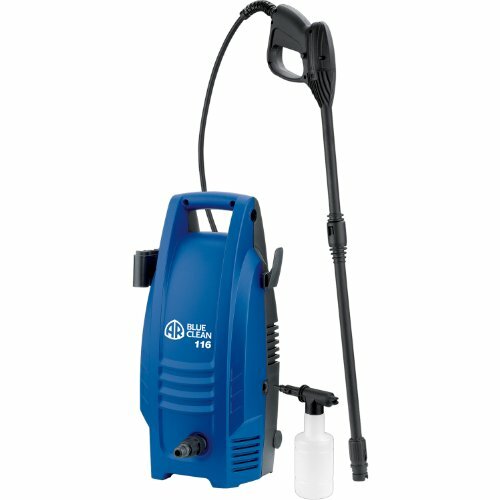 Click here to view pricing on Amazon and find an awesome deal on the AR Blue Clean AR116 Electric Pressure Washer.